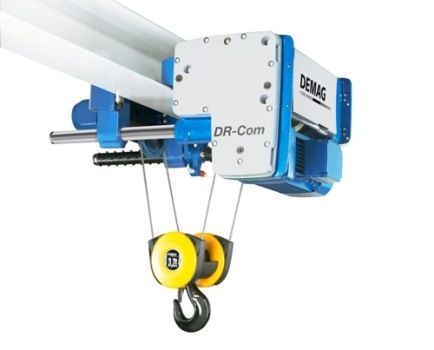 The tried-and-tested Demag DR-Com rope hoist product range now offers users significant efficiency benefits with its increased FEM classification. The move up to the next-highest FEM group means that its rated service is doubled, while its maintenance requirement is cut. The 2-tonne model is now available with FEM 4m classification. A further improvement to the DRCom enables higher handling rates to be achieved: the cross-travel speed has been increased to 24 m/min. By taking this step, Terex Material Handling has improved the lifecycle costs and the performance of its Demag DR-Com, which is available in three sizes and with load capacities of 2 to 10 tonnes and with a 4/1 reeving arrangement as standard. 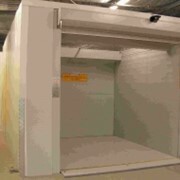 Unchanged is the high versatility of the rope hoist, which is manufactured in three variants. As a compact unit with a low-headroom design, the EKDR-Com offers reduced approach dimensions for the best possible utilisation of the available production area. At the same time, the compact design provides for a low C dimension and an integrated mechanical derailment guard offers additional safety. The low-headroom EZDR-Com double-rail crab offers the best possible use of the available space. And the FDR-Com is a foot-mounted hoist unit that offers a variety of different mounting possibilities for stationary applications. The versatile DR-Com range can be used wherever materials or goods weighing up to 10 tonnes have to be lifted, transported or positioned. Their low-vibration cylindrical-rotor motors and three-stage hoist gearboxes, which are lubricated for life, ensure that DR-Com units also operate under demanding ambient conditions. The rope guide is designed to protect the rope. 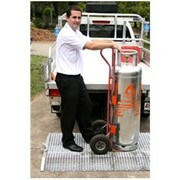 In addition, DR-Com units allow for inclined pull up to 4 degrees without touching the rope guide. 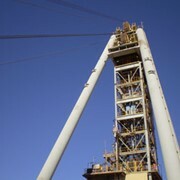 The hook limit positions are safely monitored by a precision geared limit switch. DR-Com units are fitted with a mechanical limit switch for overload protection as standard. As an option, they can be supplied with a strain gauge carrier link, which enables the load spectrum and, therefore, the elapsed duration of service to be determined and provides data for further evaluation. The universal travel wheels fitted to DR-Com cross-travel units facilitate low-wear and low noise operation on sloping or parallel tracks. Guide rollers ensure that the travel unit is safely positioned on the runway. 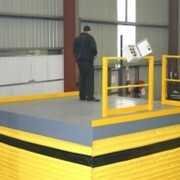 The cross-travel units can be adjusted to variable flange widths from 200 to 420 mm. 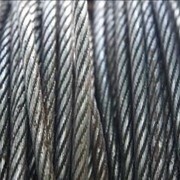 The basic safety equipment of all variants also includes a rope lead-in guard on the bottom block. 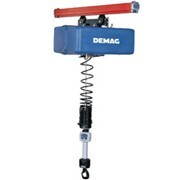 Furthermore, the ergonomic Demag DR-Com rope hoist design satisfies an important basic requirement for the safe operation of the rope hoist in every situation of an in-house material flow arrangement. 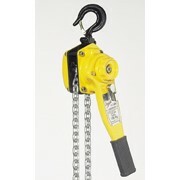 The DR-Com rope hoist also offers flexibility in its controls. For all sizes, the owner can choose between a smart processor control system (CAN bus) or a conventional contactor control system. 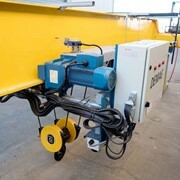 While the version with contactor controls facilitates two-stage cross-travel motions (6/24 m/min), a rope hoist operated with processor controls has an integrated frequency inverter for variable cross travel with speeds from 5 to 24 m/min. 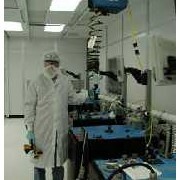 The basic version is controlled by cable-connected control units. 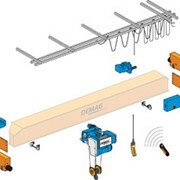 The DST control pendant is based on the tried-and-tested range for hoist units equipped with contactor controls and also allows additional control elements to be utilised. Besides its ergonomic design, the DSE variant for hoist units equipped with processor controls features transparent communications thanks to bi-directional data transfer. A display integrated into the DSE 10-R control pendant provides information on status data specific to the installation. The optionally available DRC radio transmitter also has an easily legible diagnostic interface.